When to move to Cloud Hosting? Businesses of all sizes rely on IT systems to power their processes. As a business owner you are always looking to improve your organization. There always comes a stage when it is required to improve your business processes to improve your productivity. Determining when to move to Cloud Hosting depends on finding the key benefits it offers. Is your business growing? Your bandwidth needs will change as your business grows and expands. Cloud hosting allows you to scale up or down the resources you need based on fluctuations in your business. This makes cloud hosting far better than investing in conventional IT solutions. When you move to the cloud, you can get access to more resources in a cost-effective way. More bandwidth, RAM, storage space, and CPU power is available at relatively cheaper cost compared to traditional IT solutions. When you find that managing your IT infrastructure becomes increasingly expensive. Cloud Hosting helps in eliminating the high cost involved in both server installation and management. Cloud solutions are available on a pay-as-you-go model. In simple words, you pay only for the resources you use, without having to invest in expensive hardware. It is also much easier to setup and manage. As your organization grows, your need for communication and collaboration grow too. This also means your communication expenses increase. With Cloud Hosting, sharing documents and communicating becomes simpler, faster and more cost-effective. Cloud-based file sharing and workflow enables real time updates, more effective collaborations, and communication. 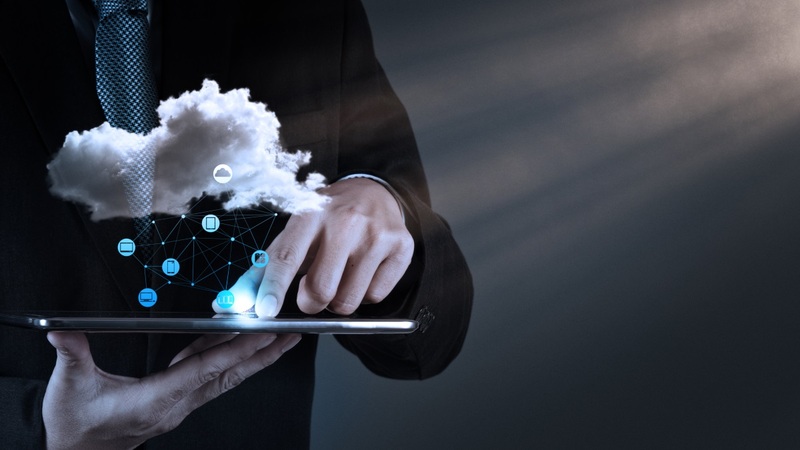 When you migrate all or part of your applications and data to the cloud, it helps in lowering your capital expenses without the need for investing in and maintaining costly hardware. You will also save time which would otherwise be spent on managing routine upgrades. Smaller businesses usually find it increasingly difficult and expensive to manage backup and recovery. Cloud helps businesses of all sizes to manage backup and recovery more effectively. Overall, this means more time savings. And this can be achieved without the need for a large initial investment or management cost. Another aspect of cost-effective cloud Hosting management is that the applications are updated automatically. Regular software updates are released at the provider end. It is up to them to update the servers to ensure that they are up-to-date. This also includes regular security updates. There is no need to spend your time in maintaining your site or database. You will be able to focus on the central aspects of business like marketing, sales and operations. Any kind of damage or loss of hardware can mean loss of valuable data. In-house server hosting always comes with risk of data vulnerability. With cloud Hosting, you are able to get more security and data redundancy. The data is stored on the cloud and can be accessed as and when required. High quality cloud hosting service providers ensure data backup redundancy to provide optimal level of data security. As competition grows, you have to think of more innovative and cost-effective IT solutions. Moving over to the cloud is easy and cost-efficient and helps increase your competitiveness. You are able to get access to enterprise-level technology. Even if you are a small business, cloud Hosting allows you to compete with the biggest competitors. When a hard drive, server or CPU breaks down, downtime is the most concerning factor. If your business relies on managing own server, you cannot eliminate downtime. This means productivity slowdown and more loss. Moving to cloud Hosting adds reliability to the IT aspects of your business. Cloud computing addresses all kinds of reliability issues including network failure, overflow, and much more. Data redundancy helps in ensuring continuous operation even when individual hardware fails. When you move to the cloud, it means increased speed, more reliability, software support, easy scalability and enhanced security. As of today, cloud is finding a place in different fields and industries. Conventional IT solutions are limited in different ways and cloud provides the right answers to all the concerns and limitations. Even when you are not facing any of the above-mentioned issues, moving to Cloud Hosting will help your business become future-ready. If you are facing any of the above-mentioned challenges, it is a smart choice to move to cloud which proves to be more cost-effective.